Baton Rouge, LA – The Southern University Ag Center will host a disaster relief wellness clinic for dogs and cats on Sept. 12 from 3 p.m. – 7 p.m. in the Center’s parking lot located on 181 B. A. Little Drive. The clinic, which will be operated by Renita Woods-Marshall, DVM, SU Ag Center; Gary Simon, SU Baton Rouge campus; SU Agricultural Science students and SU Alum Tyra Davis Brown, DVM, is being held to ensure the health of animals affected by the recent historic flood. According to globalanimal.org, more than 600 animals were rescued from the Louisiana flood waters. The event will provide free physical exams, annual and rabies vaccines, information on flea and tick prevention, deworming and food samples. Microchip implants will also be available for a minimal cost. This event is sponsored by the SU Ag Center, SU College of Agriculture, Hammond Animal Hospital and Pet Lodge, Merial, Zoetis, Ceva Animal Health, Boehringer Ingelheim, and Virbac. For additional information, contact the Southern University Ag Center at 225-771-2242. Baton Rouge, LA – The Southern University Agricultural Research and Extension Center (SU Ag Center) has a new leader for the second time since it was established in 2001. The Southern University Board of Supervisors today named Bobby R. Phills as Chancellor/Dean of the SU Ag Center and College of Agriculture. Phills was one of three finalists selected by a search committee chaired by Kirkland Mellad, Vice Chancellor for Research, Emeritus, SU Ag Center, and former dean for the College of Agriculture, Family and Consumer Sciences, SU Baton Rouge, to replace Leodrey Williams, who retired June, 2015 after more than 40 years of service, and as chancellor since the SU Ag Center campus was established. The committee was co-chaired by Gina Eubanks, Vice Chancellor for Extension, SU Ag Center. “I asked stakeholders across the state and those in the Ag Center and College of Agriculture to engage in a process to seek three candidates for consideration. These were three very qualified candidates, who have each enjoyed tremendous careers in agriculture and I believe that each would do an outstanding job in this role,” said SU System President-Chancellor Ray L. Belton. Phills' position will be historic as well. The Southern University Board of Supervisors voted in April to combine the Southern University College of Agriculture with the SU Ag Center. The move aligns the academic unit located on the SU Baton Rouge campus with the Ag Center, allowing the operating functions of the three land-grant units (teaching, research, and cooperative extension) to be managed by the Chancellor/Dean. SU Board of Supervisors Chairman Leon R. Tarver II offered congratulations as well to the Chancellor/Dean-elect who will lead the SU Ag Center and College of Agriculture. 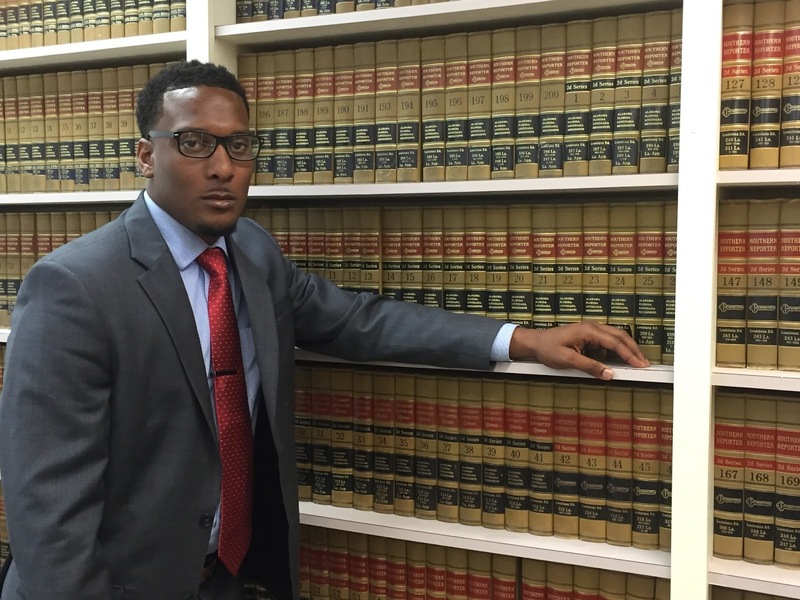 Phills is a graduate of Southern University in horticultural sciences. He also received his MS and Ph.D. degrees from Louisiana State University in horticulture with emphasis in plant breeding, and a post doctorate from Cornell University in plant breeding and genetics. 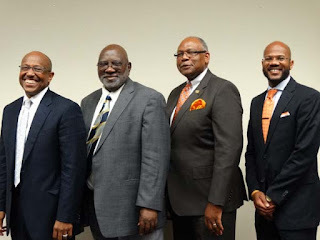 Phills recently retired from Florida A&M University where he served for six years as Dean and Director of Land-Grant Programs with administrative responsibilities for teaching, research, extension and international programs from 1997 to 2003. 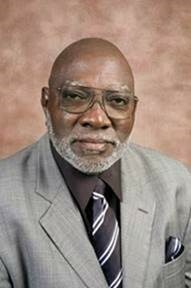 Prior to his Florida A&M University post, he was Dean and Research Director of the SU College of Agricultural, Family and Consumer Sciences from 1985-1997. Phills also served as Director of the Small Fruit Research program in the Center for Viticulture and Small Fruit Research for 11 years. During his professional career, he has served in numerous capacities including: Scientist, Program Leader, Teaching Faculty, Project Director, Principal Investigator, Research Director, Director, George W. Carver Experiment Station, and Associate Director - Carver Research Foundation (Tuskegee University), Dean and Director of land-grant programs (Florida A&M University), and numerous board/committee chairmanships/memberships. While his overall achievements have been and continue to be significant, he cites the impact that he has had on student recruitment, graduation, and professional development as his greatest pride and joy. Phills says that more than 200 students that graduated under his watch have gone on to become great leaders in their chosen professions which include agricultural and family and consumer scientists, biological engineers, food scientists, plant breeders, and academic educators, just to name a few. He boasts that more than 50 of his students have worked or are working for USDA agencies, many of which are in senior level administrative positions. Phills is an avid grants writer and fundraiser with more than 50 grants and contracts written and more than $30 million secured during his career. Under his leadership, a number of research and extension centers and academic programs have been established for student development and small farm clientele assistance. Having served as chairman of the 1890 Presidents and Chancellors’ Legislative and Budget Committee for 10 years, afforded him national experience in working with other land-grant administrators on congressional legislation and farm bill development. He served on the 1985 and 1990 farm bills and played a major role in securing more than $70 million in annual appropriations for the 1890 land-grant universities. American Red Cross location sign. Baton Rouge, LA – Roughly two days into the start of a new school year, classes were abruptly canceled from what many south Louisiana natives are calling, “One of the worst natural disasters in Louisiana’s history.” As the Great Flood of 2016 vastly inundated many homes throughout St. Helena Parish, some residents are faced with a new reality of temporarily living in a shelter. 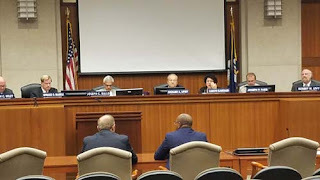 A local Red Cross representative stated that there are no immediate plans to move flood victims from the Multi-purpose Center that sits right on the Tangipahoa Parish line, but is in St. Helena Parish’s Fifth District. The representative also stated that they have explored the option of hotel vouchers, but did not want to create other obstacles for those who do not have access to transportation to get to work and school. The shelters population consist of youth who will undoubtedly begin to have homework, and could potentially have other stressors due to their lack of resources or homelessness. Through the use of the Southern University Ag Center’s Youth Educational Support Program (Y.E.S. ), displaced families can be assured that the SU Ag Center has Youth Development Agents to meet their educational needs. “I’ve actually been in talks with Police Jurors and School Board Officials prior to the natural disaster about starting an after-school program at the Multi-purpose Center…Under these extenuating circumstances the YES Program can definitely address some of the immediate needs, like assisting with homework and providing ancillary activities to keep their minds off their temporary living arrangement,” said SU Ag Center, Assistant Area Agent, Nicolette Gordon. Gordon will conduct a needs assessment, and will begin building a team of volunteers who will help throughout the duration of the temporary after-school program. For more information on volunteer opportunities, please contact Nicolette Gordon in the St. Helena Parish Extension office on Tuesday & Thursday at 225.222.4136 or via email at nicolette_gordon@suagcenter.com. Baton Rouge, La. 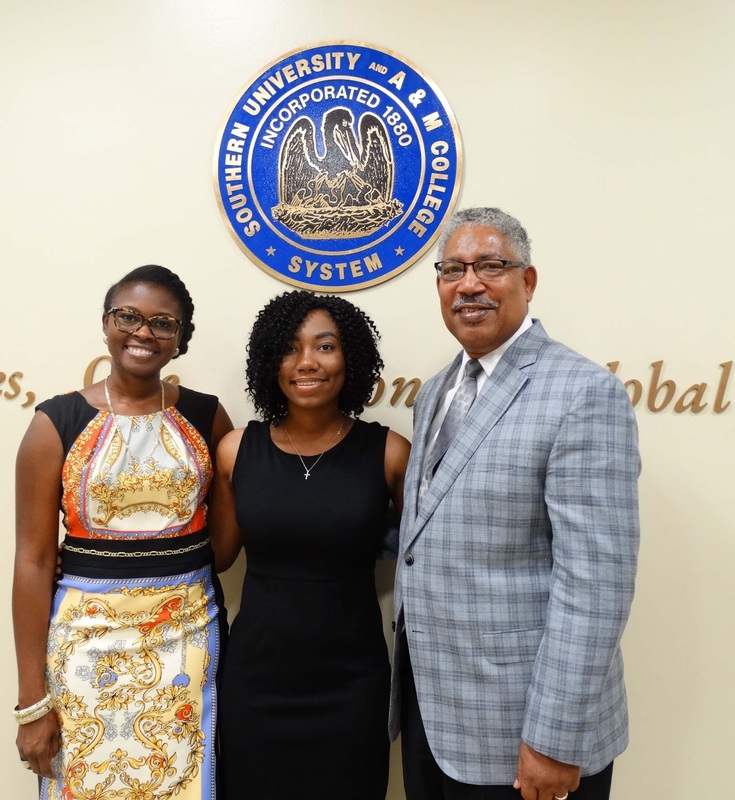 - Kalaia Tripeaux, a Southern University Agricultural and Mechanical College junior, is one of 73 students from across 63 HBCUs who have been named the 2016 White House Initiative on Historically Black Colleges and Universities HBCU All-Stars. The All-Stars, comprised of undergraduate, graduate, and professional students, are being recognized for their accomplishments in academics, leadership, and civic engagement. Twenty-year old Tripeaux is a Baton Rouge native and a 2014 graduate of Baton Rouge Magnet High School. Kalaia admits she had her eyes set on attending Southern University but was unsure of a major. However, through conversations with Southern University Ag Center’s Renita Marshall, DVM, who doubles as a student recruiter, the field of agriculture began to really become intriguing to Tripeaux. 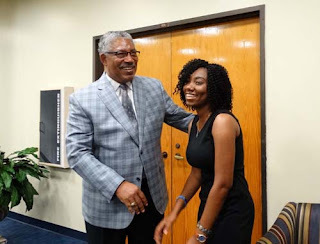 She consequently participated in the Summer 2014 “Beginning Agricultural Youth Opportunities Unlimited (BAYOU) Program,” and acquired a wealth of knowledge about majors offered in the agricultural and family & consumer sciences areas. Now an Urban Forestry major, Tripeaux was awarded scholarships by the SU Agriculture Department, Taylor Opportunity Program (TOPS), Mu Zeta Chapter of Zeta Phi Beta Sorority, Incorporated, and the USDA’s 1890 Scholar Program to attend Southern University in Baton Rouge. In the spring of 2016, Tripeaux was one of 11 SU Baton Rouge urban forestry students selected to receive a Global Scholar Award through the Global Research Experience for Students Program launched by the Urban Forestry and Natural Resources Program. When the White House Initiative on Historically Black Colleges and Universities HBCU All-Stars opportunity was announced, Tripeaux states that many of her agriculture professors said that she would be a good candidate and was encouraged to apply. “So, in other words, I was encouraged by the faculty and staff of the Agriculture Department to apply for this honor,” she said. Tripeaux was selected from a national pool of 300 candidates. In addition to serving as an ambassador with 72 other students, Tripeaux will participate in the White House HBCU Week Conference, and national and regional events, during the year. During this year, Tripeaux says she hopes to highlight the wonderful opportunities that are possible with an HBCU education, promote student life on the campus of an HBCU, and inspire students to focus on leadership, scholarship, and community service in order to gain success in life. The guidance and support that have been showered upon me at Southern University and A&M College has allowed me to sow my seeds in knowledge, leadership, and community service. As an undergraduate student, Tripeaux engages in other academic and personal achievements and campus and civic engagement. She has maintained a 3.5 cumulative grade point average and made the Chancellor’s List several times. She also participated in a summer internship with the USDA Forestry Service in Albuquerque, New Mexico. Although Dr. Marshall serves as her advisor in the JAGS in AG program, Tripeaux says she admires the entire faculty and staff of the Agriculture Department who are always there to motivate and give support, for having set high expectations for her and really pushing her to achieve high goals, particularly ag researcher Marlon Ford. Tripeaux’s future plans include obtaining a Ph.D. in Urban Forestry. This is the third consecutive year a student from SU was selected as an HBCU All-Star. In 2014, SU student Robert Chambers was honored with the same award. He has earned a doctoral degree in Urban Forestry and is employed by the USDA Natural Resource Conservation Service. Sally Ross, received the award in 2015. She graduated with a B.S. degree in Urban Forestry and was the College Marshal, the student with the highest grade point average in her College, for the 2015 Spring semester graduating class. After gaining research experience at the Oak Ridge National Laboratory, she is on her way to pursue a graduate degree at the University of Tennessee in Knoxville. The Southwest Center for Rural Initiatives has partnered with Atty. 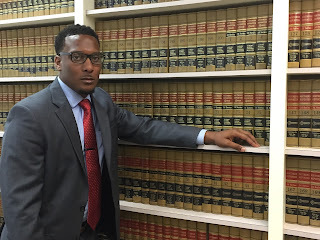 John Allen, III to provide free notary services to disaster victims in the Opelousas area. Baton Rouge, LA – The Southwest Center for Rural Initiatives, a satellite campus of the Southern University Agricultural Research and Extension Center, has partnered with Attorney John M. Allen, III to provide free notary services to disaster victims. Atty. Allen, who is a DWI and person injury attorney, will assist community members with affidavits and other documents that need notarizing in regards to the recent disaster; including necessary documents for FEMA processing. The program will begin Monday, August 29 at the Southwest Center, 1209 Diesi St., Opelousas, LA 70570. Atty. Allen’s services are available by appointment only, and are open to the general public. To schedule an appointment, call 337-943-2410 or email, Krystle_Washington@suagcenter.com. Baton Rouge, La. 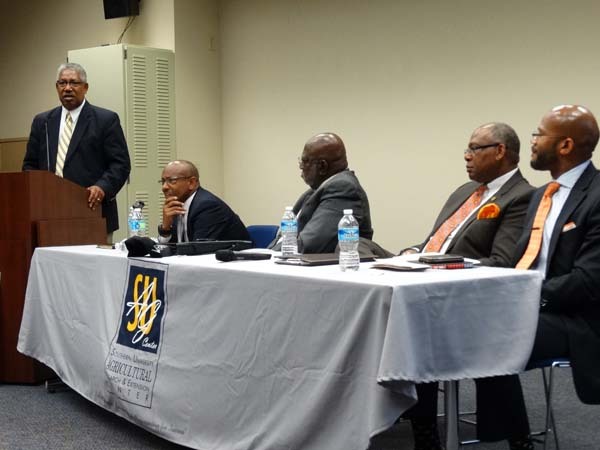 – The Interim Chancellor for the Southern University Ag Center attended the Board of Regents monthly meeting on August 24, 2016 to speak about the partnership that exists between Louisiana State University and Southern University Agricultural Centers. Both Dr. Adell Brown, Jr., from the SU Ag Center and Dr. William Richardson, LSU Vice President for Agriculture, presented on collaborative efforts to serve the citizens of Louisiana. Moving forward, the joint initiative between the two entities is expected to grow stronger. Baton Rouge, La. - A Southern University System Board of Supervisors’ Chancellor Search Committee, charged with assisting the SU System with selecting a new chancellor/dean for the Southern University Agricultural Research and Extension Center (SU Ag Center)/College of Agriculture, announces finalists for the position. Adell Brown Jr., interim chancellor, Southern University Agricultural Research and Extension Center, earned a bachelor of science in agricultural business, a MBA from the University of Southwestern Louisiana (now UL Lafayette), and a Ph.D. in agricultural economics from LSU. Ivory W. Lyles, dean and director of land-grant programs, Alcorn State University, earned a Ph.D. from The Ohio State University, a master of science from Mississippi State University, and Bachelor of Science from Alcorn. Bobby R. Phills, retired director, Small Fruit Research and Integrated Pest Management Program, Florida A&M University (FAMU) and former dean and director, College of Engineering Sciences, Technology and Agriculture, FAMU, and former dean, and research director, College of Agriculture, Family and Consumer Sciences, SUBR, earned a bachelor of science from Southern University, a master of science and a Ph.D. in agricultural sciences from LSU. The Board of Supervisors will interview the three finalists during its August meeting, August 26, at Southern University Shreveport. The new chancellor will replace Leodrey Williams, who retired June, 2015 after more than 40 years of service, and as chancellor since the SU Ag Center campus was established in 2001. The Southern University System was created in 1974 by constitutional mandate, which fashioned it into the Nation’s only historically black 1890 Land-Grant University System. Presently, the System is composed of five institutions: Southern University and Agricultural and Mechanical College at Baton Rouge (est. 1880), Southern University Law Center (est. 1947), Southern University at New Orleans (est. 1956), Southern University at Shreveport (est. 1964), and the Southern University Cooperative Extension Program (est. 1972), which became the fifth component of the System in 2001 and is now named Southern University Agricultural, Research and Extension Center. Baton Rouge, LA – The United States Department of Agriculture’s Farm Service Agency (FSA) has announced several programs and low-interest loans to assist agricultural producers affected by recent flooding or similar natural disasters. 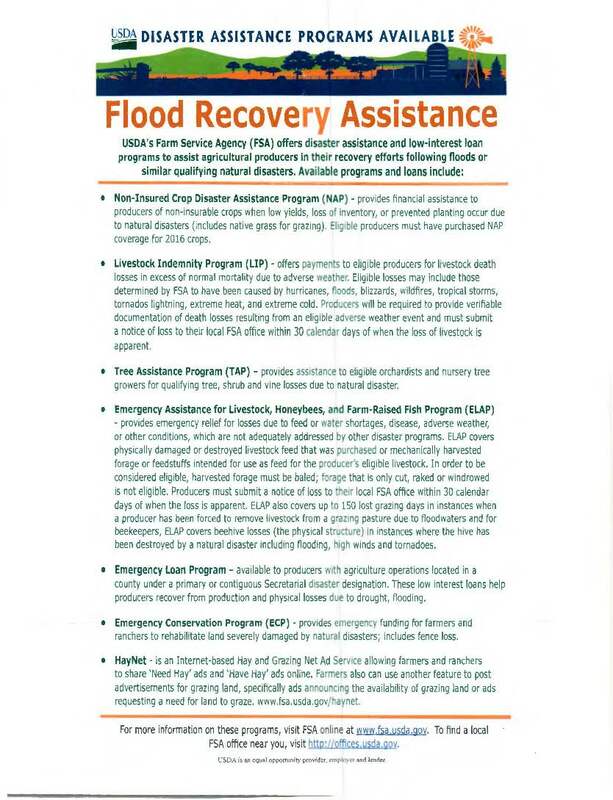 For additional information on these programs, visit the FSA at www.fsa.usda.gov. To locate a FSA Office near you, visit http://offices.usda.gov. Baton Rouge, La. - SU Ag Center’s Nutrition and Health program has recently co-authored an article in the Functional Foods in Health and Disease Journal (FFHD); Vol 6, No 7 (2016): July 2016 with Pennington Biomedical Center. SU Ag Center researchers, Drs. Fatemah Malekian, nutrition professor, Sebhatu Gebrelul, animal science professor, James F. Henson, statistician, Kasundra D. Cyrus, professor of family and consumer sciences, De’Shoin Y. Friendship, extension specialist, and Mfamara Goita, research associate, co-authored the article with Dr. Betty M. Kennedy, Pennington Biomedical Research Center. The research article entitled “the effects of whey protein, resistant starch and nutrition education on body weight,” is in the current issue of the FFHD online journal. The Functional Foods in Health and Disease journal is a peer-reviewed open access journal, which discusses various aspects of functional foods, bioactive compounds, and chronic diseases. Baton Rouge, La. 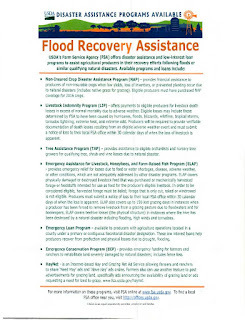 - The Louisiana Department of Children and Family Services has released information for the first of three phases for the Disaster Supplemental Nutrition Assistance Program for residents to finalize applications for DSNAP benefits. East Feliciana Parish ZIP Codes 70722, 70730, 70748, 70761, 70777, and 70791 at Early Learning Center, 9414 Hwy 67 (Plank Road), Clinton. The first eight parishes will serve applicants on a staggered, alphabetical schedule. Only residents who have pre-registered for DSNAP benefits should go to the locations in the parish they resided during the flood. Only on the days indicated by the first letter of their last name. Those who are unable to visit the sites on their designated day should go on one of the final days specified. Saturday, August 27: LZ (applicants unable to make prior scheduled day). Phase two, which will include Acadia, Ascension, East Baton Rouge and Lafayette Parishes will begin on Monday, August 29 and end Saturday, September 3. Phase three which will include Avoyelles, Evangeline, Iberville, Jefferson Davis, St. Martin, Washington, and West Feliciana Parishes will begin on Monday, September 5 and end Saturday, September 10. Sites for the remaining parishes will be released once they are finalized. To pre-register, visit the DSNAP website at www.dcfs.la.gov/preregister. Visit WAFB.com for full detail. Baton Rouge, La - On Aug. 17, 2016, the U.S. Department of Agriculture (USDA) reminded farmers and ranchers, families and small businesses affected by the severe storms and flooding in Louisiana that USDA has several programs that provide assistance before, during and after disasters. USDA staff in regional, state and parish offices are ready to help. "Our hearts go out to the families and communities in Louisiana who have been devastated by flooding over the past several weeks," said Agriculture Secretary Tom Vilsack. "USDA has offices in nearly every county or parish in the U.S., and we want to remind people that we have a variety of services that may be useful in challenging times like this one. Our employees are also members of the communities hit by flooding, and we want to help." Property and Shelter: Information can be found on the Rural Development website or by contacting the State Office located at 3727 Government Street, Alexandria, LA 71302, or by calling (318) 473-7920 or (866) 481-9571. Food Assistance and Food Safety: Resources for disaster feeding partners as well as available FNS disaster nutrition assistance can be found on the FNS Disaster Assistance website. Owners of meat and poultry producing businesses who have questions or concerns may contact the FSIS Small Plant Help Desk by phone at 1-877-FSIS-HELP (1-877-374-7435), by email at infosource@fsis.usda.gov, or 24/7 online at http://www.fsis.usda.gov/wps/portal/fsis/topics/regulatory-compliance/svsp/sphelpdesk. Crop and Livestock Loss: Information on all of these programs can be found at http://disaster.fsa.usda.gov. USDA encourages farmers and ranchers to contact their local FSA office to learn what documents can help the local office expedite assistance, such as farm records, receipts and pictures of damages or losses. FSA maintains contact information online for all Louisiana parish offices. Producers should report crop damage within 72 hours of damage discovery and follow up in writing within 15 days. Community Recovery Resources: The USDA Natural Resources Conservation Service (NRCS) can assist local government sponsors with the cost of implementing recovery efforts like debris removal and streambank stabilization to address natural resource concerns and hazards through the Emergency Watershed Protection Program. NRCS also can help producers with damaged agricultural lands caused by natural disasters such as floods. The NRCS Environmental Quality Incentives Program (EQIP) provides financial assistance to repair and prevent excessive soil erosion that can result from high rainfall events and flooding. USDA National Institute of Food and Agriculture provides support for disaster education through the Extension Disaster Education Network (EDEN ). The information is available online at the LSU AgCenter's Disaster Information . The page includes a list of downloadable publications including a mold removal guideline and storm recovery guide. For complete details and eligibility requirements regarding USDA's disaster assistance programs, contact a local USDA Service Center. More information about USDA disaster assistance as well as other disaster resources is available on the USDA Disaster Resource Center website. In partnership with the Federal Emergency Management Agency and other disaster-focused organizations, USDA created a Disaster Resource Center website, utilizing a new online searchable knowledgebase. The new Disaster Resource Center website and web tool now provide an easy access point to find USDA disaster information and assistance. 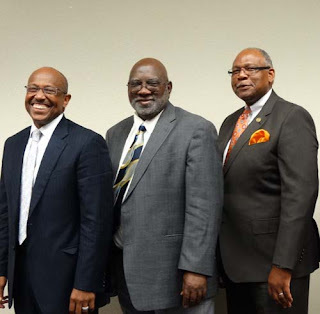 The President of the Southern University System, Dr. Ray Belton charged a Search Committee with assisting the SU System in selecting a new chancellor/dean for the Southern University Ag Center and College of Agriculture. On August 18, the Committee held a town hall meeting with candidates for the position. The candidates are: Adell Brown, Jr., Interim Chancellor/Interim Dean for SU Ag Center and SUBR College of Agriculture; Andra Johnson, Assistant Director of Research, Alcorn State University; Bobby Phills, Retired Dean & Director, College of Engineering Sciences, Technology and Agriculture, Florida A & M University; and Ivory Lyles, Dean and Director of Land-Grant Programs, Alcorn State University. The final three candidates will be selected on Friday, August 19 following interviews by the search committee in Baton Rouge. President Obama has signed a Louisiana Disaster Declaration to supplement state and local recovery efforts in the area affected by severe storms and flooding. Thus, FEMA is asking all residents and business owners who sustained losses in the designated parishes to begin applying for assistance tomorrow, August 16, 2016 by registering online at http://www.DisasterAssistance.gov or by calling 1-800-621-FEMA (3362) or 1-800-462-7585 (TTY) for the hearing and speech impaired. The toll-free telephone numbers will operate from 7:00 a.m. to 10:00 p.m. (local time) seven days a week until further notice. You can go to the SU Ag Center’s website to register. Southwest Center for Rural Initiatives staff with 4-H Youth Ambassadors. Teens as Teachers: 4-H Youth Advocates for Health – youth were introduced to the year-long ambassador activities they would be responsible for facilitating to encourage their peers to make holistic and positive health-related changes. Keeping the Garden Growing and Harvesting the Garden- youth learned how to plan, plant, maintain and cultivate gardens with a hands-on workshop in the Southwest Center’s hoop house. Following Thursday’s training; the 4-H Youth Ambassadors as well as workshop facilitators, community volunteers, and parent volunteers traveled to Mansura, La. to visit the 40H Museum and the Desfosse’ House, which is the oldest home in Avoyelles Parish. For questions or additional information on the 4-H Youth Ambassadors or other Southwest Center youth programs, please contact the Southwest Center for Rural Initiatives at (337)943-2410. Participating in the Aug. 5, 2016, Louisiana Local Food Stakeholder Roundtable are, from left, SU Ag Center Vice Chancellor for Extension Dr. Gina E. Eubanks, Agricultural Specialist Dr. Dawn Mellion-Patin, USDA's La. Farm Service Agency Executive Director Craig McCain, USDA's Agricultural Marketing Service Administrator Elanor Starmer, USDA Deputy Administrator of Transportation and Marketing Program Arthur Neal and Assistant to USDA's La. State Director of Rural Development Lee Jones. Baton Rouge, LA – Southern University Ag Center Interim Chancellor Dr. Adell Brown, Jr., Vice Chancellor for Extension Dr. Gina E. Eubanks, Agricultural Specialist Dr. 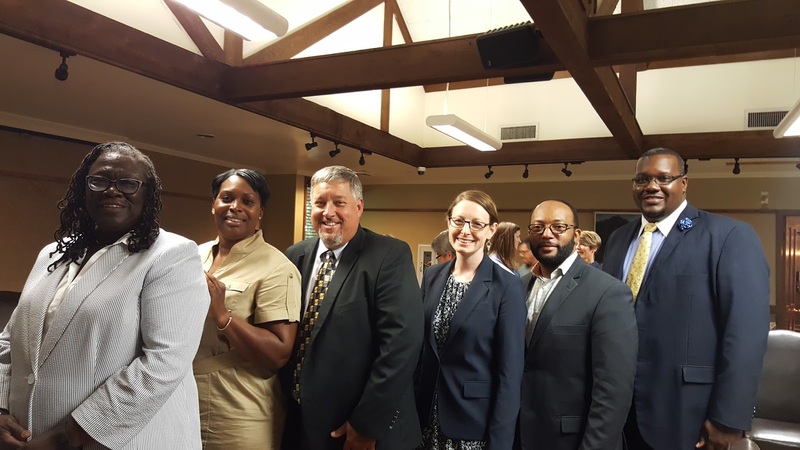 Dawn Mellion-Patin and Senior Research Associate Mila Berhane were among the participants of a statewide Louisiana Local Food Stakeholder Roundtable. The meeting, which was held at the LSU AgCenter Botanic Gardens, Ione E. Burden Visitor and Conference Center in Baton Rouge, La. on August 5, 2016, brought small farmers, Ag businesses, Ag universities and community groups together with United States Department of Agriculture (USDA) agencies to discuss the challenges facing Louisiana’s local farmer. “A lot of consumes are asking to buy local and we see that as a huge opportunity for farmers and for businesses, but it’s not always easy to connect the dots and have that supply meet that demand,” said Elanor Starmer, USDA’s Agricultural Marketing Service Administrator. During the discussion, some pointed out a lack of infrastructure/technology, labor, cooperation among farmers, assistance to young farmers and needed reforms to the Farm Bill as some of the challenges faced by the state’s local producers. Dr. Patin voiced her concern of a lack of consistency among some small farmers. “The trend is changing, we’re (the SU Ag Center) getting a lot of new and beginning farmers, but one of the challenges is that their acreage is so small and many of them grow a lot of different produce, so it’s not enough to provide to a consistent market where they would need to have a sustained level of volume,” explained Patin. Dr. Eubanks addressed the issue of a lack of young people pursuing careers in the field of agriculture by sharing information on the SU Ag Center’s Jags-In-Ag and Beginning Agricultural Youth Opportunities Unlimited (B.A.Y.O.U.) Programs. Both programs are geared towards exposing college and high school students, respectively, to the career opportunities available in agriculture. She also discussed the Center’s Urban Farm and Demonstration Garden and the Small Farmer Agricultural Leadership Institute, which has a strong partnership with the state’s USDA agencies. 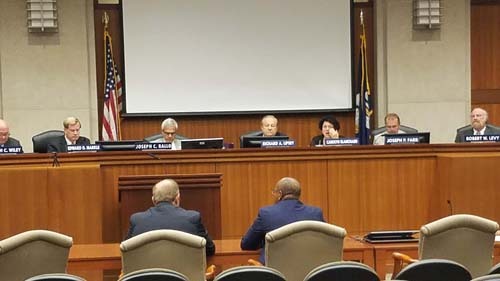 “I really what you as clientele to understand that in the state – I’m not saying that we’re meeting your needs, frankly, we’re learning about your needs today,” said Craig McCain, Executive Director of Louisiana’s USDA Farm Service Agency. “Let me be honest, we’re all learning about your needs but these are very diverse problems; from money, to infrastructure, to technology, to relationships, to education. So I just want to point this out; keep delivering what you’re doing, but know this, I’ll be willing to stand in this group of folks and say that we’re working on your behalf,” said McCain. The meeting concluded with Starmer thanking everyone for their input and encouraging everyone in attendance to continue their work and to develop a relationship with the USDA. “By bringing everyone here today in the room we were really able to get a sense of how things are connecting and where those gaps might be and figure out how, as federal officials, we can plug in a lot of the programs and services we have to fill some of those gaps because we are a very large institution. We have a lot of resources and sometimes it’s just a question of understanding what the needs are so we can identify the appropriate resources to support them,” added Starmer. “I think we have a lot of work ahead of us to follow-up with folks and get them information about programs and hopefully they will take advantage of them and I’m really excited about what’s next,” she said.